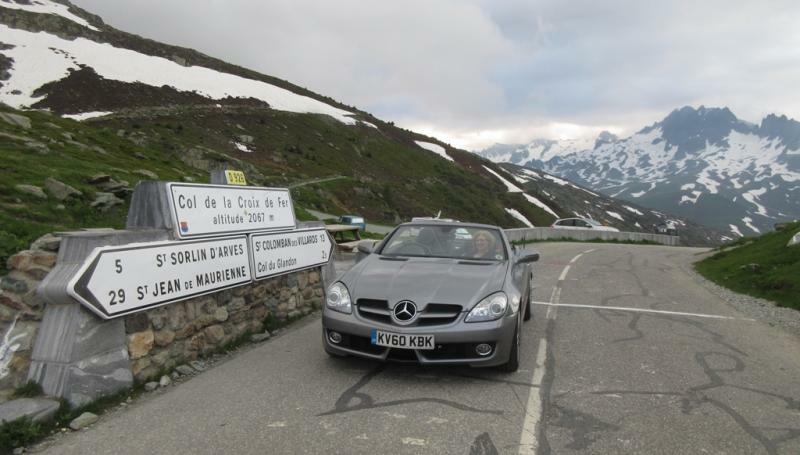 Vehicle: 2001 SLK320 in Brilliant Silver Metallic with a Magma red leather interior and an auto transmission. Sorry, the link is for the "Melbourne Mercedes R170/R171/R172 Roadsters" group on Facebook. I believe it is a closed group so you may have to be in the group to see the invitation. I'm only a group member, not moderator so can't add you but someone should be able to. I'm the moderator for the Facebook group. I'll add you if you ask for an invitation or if you give me your names. I'm planning to join as well but from Warburton onwards. If you add a reply here, I will update post 1 with list. Not sure if the following are looking at going? Yes I am most certainly interested. So Melbourne forecast for 7th is 22C, light wind and partly cloudy. That would be great. Please let me know. We'll see how many Melburnians are keen. I'll come, I'll bring my red V6 170 series. I'll bring my camera and tripod etc. and we can shoot some short vids where people can intro them selves and there cars. I've got a good PC I built for editing running Adobe elements. I can upload it to a you tube channel so people can watch it from anywhere. ~Brendan. Yes of course Kevin, even better there will be video up a few days after the run. I'm setting up the you tube channel now. ~Brendan. The channel is live under Melbourne Mercedes R170/R171/R172 Roadsters but there's no content yet. That will be up early next week (as long as not all the blokes and women coming aren't camera shy.....) ~Brendan. This is the proposed start point. Easy to find and to get to. We'll be heading northeast for a run in the hills that I've done before. Lets hope for some favorable weather. Small world - Your starting just down the road from My Sister that came over for My SLK - Euro Road Trip last year..!! Answering an earlier question, yes I’ll be bringing my Partner. On another note, don’t forget daylight savings end on the 7th April. Make sure you set your clocks the night before. Thanks Denison for offering to do the video work. Don’t forget to adjust your alarm clock for end of Daylight saving. Some tips for cruising as a group from previous experience. Front car usually the organiser, who knows the way and doesn’t have to read instructions. Always keep the car behind in sight, it everyone does that it works easily. If you come to a turn and can’t see anyone behind you, wait in a safe place till they see you,,If you can, or go slow for a while. It helps if the lead car drives about 5 kph below the limit to keep everyone together, with inevitable snags. The fun of these runs is to see the other cars in front and in your mirror, if people speed, the convoy spreads out so much, one may as well be on a solo drive. No hooning, remember, roads quiet, but Police very aware of car clubs doing Sunday morning runs on the nicer roads. Put a bright coloured car in the middle, make it easier for the ones at the back to see the way. Tell everyone the end-point in case they get lost. More fun if we stick together. Even with written instructions, most people just follow the car in front ( I will, no navigator) so if the group really spreads out, some get lost. peZonator and Avel Du like this. I'll just clarify that the organiser (me) doesn't know the route very well in this case. I'll do my best.